ENNADAI LAKE – Working together in a spirit of renewal to find shared solutions through dialogue is the best way to help right past wrongs, advance reconciliation and shape a new relationship with Indigenous peoples for the benefit of all Canadians. “Between 1950 and 1960, the Ahiarmiut were forcibly relocated against their wishes and without their consent. These government actions were misguided and resulted in tragic outcomes for the community. The Government of Canada apologizes for these forced relocations and deeply regrets the profoundly negative and lasting impacts they had on community members and the Ahiarmiut way of life. In acknowledging these past wrongs, it is our hope that today’s historic apology can provide a foundation for healing and serve as an enduring milestone along the path toward reconciliation between Canada and the Ahiarmiut,” says Carolyn Bennett, M.D., P.C., M.P. Minister of Crown-Indigenous Relations. 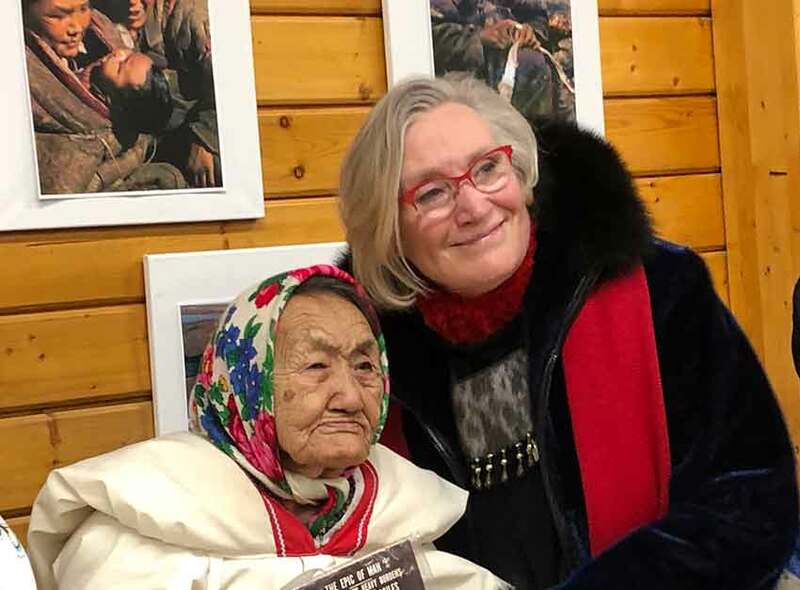 On behalf of the Government of Canada, the Minister of Crown-Indigenous Relations, the Honourable Carolyn Bennett apologized for relocating the Ahiarmiut from their home at Ennadai Lake on multiple occasions to unfamiliar lands between 1950 and 1960 and for the devastating impacts they experienced as a result of these failed relocations. The apology was made to the Ahiarmiut, including relocatees and their families, at a special ceremony held today in Arviat. The apology, along with a financial settlement concluded in partnership with the Ahiarmiut in September 2018, is a major step forward on a path of renewal, healing and reconciliation. “There is no money that could ever be sufficient compensation for the things that we suffered and lost as a result of government decisions of the past, nor the subsequent attempt to justify them. Nevertheless, this has been a 20-year battle for me and I appreciate that this government was finally willing to come to the table and talk to us. It really uplifts my spirits to see this day. I only regret that so many Ahiarmiut will not be around to see the conclusion of this struggle. We forgive but we will not forget. We intend to use the commemoration and education funds to ensure that no one else does either. The country needs to know about and learn from past mistakes,” comments David Serkoak, President, Ahiarmiut Relocation Society. The Ahiarmiut who resided in the area around Ennadai Lake are a distinct group of Inuit. They originally lived inland from Hudson Bay and relied almost entirely on barren land caribou for their survival. Canada relocated the Ahiarmiut a total of five times between 1950-1960, from their home at Ennadai Lake to unfamiliar lands at Nueltin Lake (1950), North Henik/Oftedal Lakes (1957) and then to Arviat and other locations along the coast (1958 onwards). At North Henik/Oftedal Lakes, the Ahiarmiut lived in deplorable conditions and suffered tragic consequences, including loss of life due to starvation, exposure and in one well-known case, murder. The Ahiarmiut filed litigation against Canada in 2008 and have long sought a negotiated resolution to their relocation claim. The negotiated settlement was signed by the Ahiarmiut and Canada in September 2018.